The Boat Ride is a rollercoaster that allows you to enjoy 360 degree views while swaying with the motion of the ocean. Your rocking the boat back and forth which gives you ample time to enjoy the views of the park while you sway. I came up with this idea after a ride that use to be really popular in our local amusement park. It was a boat that would go back and forth, taking you upside down and over a couple of times. I liked it even though I also feared it. 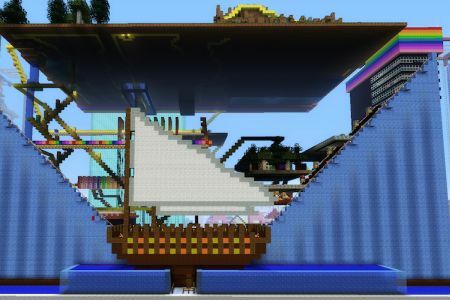 Perfect for my Minecraft Electra Amusement park. This ride is really easy to recreate. Make the track by creating a row 15 blocks long on the floor. Start the rise of the coaster from both ends of the 15 blocks by placing each block higher than the last. You can make it as high as you like, but higher is better. Use blue wool blocks to simulate the ocean. 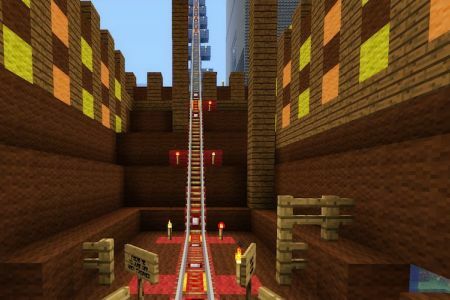 When it comes to laying down the tracks, you’ll want to start in the middle with just a rail, at block 8. On either side you’ll want to place a detector rail next, then a powered rail and next is a detector rail like in the photo. Do it again with placing another rail, and then a detector rail, powered rail, and another detector rail. 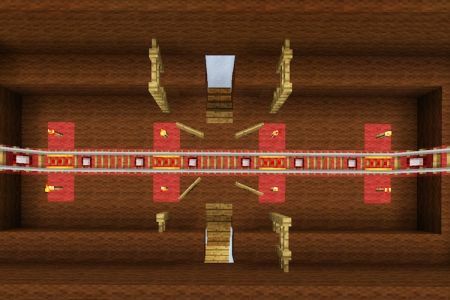 You’ve reached the beginning of your ascent and will want to start the ascent with 5 rails. The placement of the rails is important because the powered rails accelerate your cart. To get that initial swaying motion at the beginning of the ride you will need to make sure you have enough space that you don’t have the momentum to travel all the way up the rail the first couple of sways. After your 5th rail on the ascent, place a detector rail, powered rail, and another detector rail. After that its another 9 rails till your again placing a detector rail, powered rail, and another detector rail. From here on for the rest of the height you’ll want to repeat the patter of rail, detector rail, powered rail, and then detector rail. Each side should be identical. 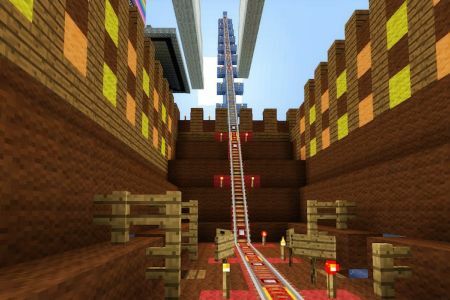 When your finished or while you go use a redstone torch to activate the powered rails. In order to make sure that your cart turns around and goes back down on its own, you’ll want to make sure your last rail on each end is not laying flat. To do that place another rail and then delete it and replace with a block. (If you don’t put a block your cart will keep go off the track). You want each end of your ride to look like the photo. 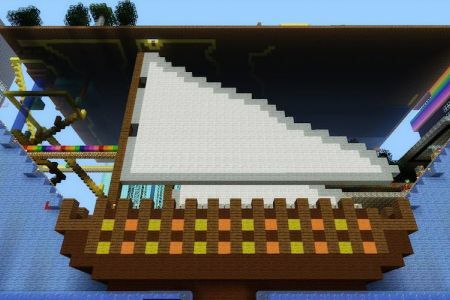 To make it into a official boat ride build a boat around the 15 blocks laying flat, using it as the boat floor. 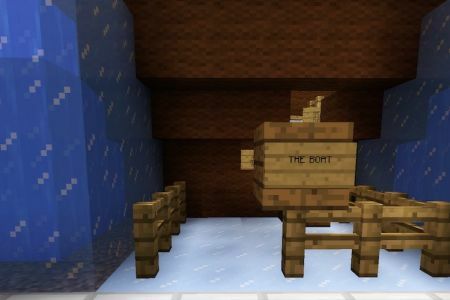 You can even do as we did and add ice blocks and a pool to raise the ground and show the boat in water.